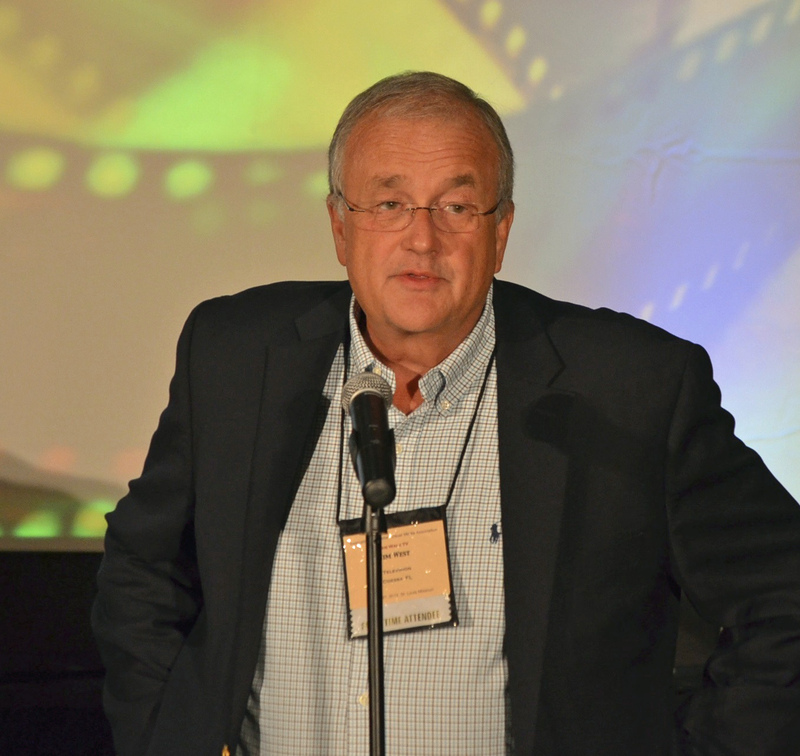 New Film Committee at NRB? Debra “Debbie” Lou Wright West (61) went home to be with her Lord on September 22nd. She was born in St. Augustine, FL on September 15, 1951. Raised in Birmingham, AL, she moved with her family to New Port Richey in 1967. She was a social-work graduate of the University of Louisville. She worked for Indiana Public Welfare, The Florida Department of Health and Rehabilitative Services, The Children’s Home Society and grew Adoption By Choice into one of the largest adoption agencies in Florida. She participated in more than 1,000 adoptions. In more recent years, she served as the VP for Affiliations for the Pasco Co. based theWALKtv national television network. She was an active member of First Baptist Church, New Port Richey, FL. She is survived by her parents, Dan and Mary Lou Wright, her husband of 42 years, Jim, two sisters, Dee Parr and Dana Holmes, all of New Port Richey; two children, Dr. Chris (Megan) West of Parker, CO and Christi (Adam) Armatas of NPR. She was the beloved grandmother to Lane (10), London (8), Kale (5) and Kole (1). She also was a cherished aunt to many and a friend to hundreds. The Exhibition Hall is where we spend much of our time describing to attendees our programming and meeting many of our affiliates and programmers. We’re always looking out for new programming, some of which debut in April. Programmers Charlene Baktamarian (God’s View) and Lana Garner (Real Talk, God’s View) at the registration desk on the Exhibition Floor. The traditional TV Reception this year has become a game night in an effort to bring younger attendees to the Convention. Here, Jim is speaking with Dr. Carol Swain, Professor of Law and Political Science at Vanderbuilt University School of Law. She was a featured presenter at the Public Policy debate. A new feature of the Convention were the three Zoom luncheons giving attendees greater networking opportunities. Here Jim is shown hosting a table for television attendees. At the table are Legacy Programmer Mick Richards (Building a Difference) speaking on the far right, and Station Operator Dennis Elder (Sevierville, TN) and his wife on the far side of the table. Kay Arthur (Precepts for Life) is shown at one of the zoom luncheons visiting with attendees. It is a time for personal connections, seeing friends and family. Jim is speaking with Jim Whitmer of Wheaton, IL who along with Jim’s sister, Mary, serve as official photographers. In fact most all of these pictures are his and are courtesy of the NRB. At the Tuesday night awards banquet, Joni Earekson Tada (Joni and Friends) was the 2012 inductee into the NRB Broadcasting hall of fame. She shown here with her husband, Ken Tada, and NRB leaders, President Frank Wright and Chairman Richard Bott. The Christian Broadcasting Network (700 Club, Newswatch) was honored for 50 years of service to Christian Broadcasting. Accepting on behalf of CBN, was Gordon Robertson. The featured performers at the banquet was the Annie Moses band, a Juliard-trained group of siblings who sang selections from their new CD, Pilgrims and Prodigals. Participating in the announcement at NRB, were Mark Aitken, Sinclair Broadcasting; Dr. Randy Weiss (EICB, Crosstalk) and West. on the program, “My Heart Will Always Be In Carolina” as part of the nationwide broadcast of the TV series. Ken Mann, Host of the show and President of Coastal Production Company announced this week that theWALKtv Network added the program to its broadcast line up in November. “We are pleased to be a part in bringing the back roads and beaches of the Carolinas to a national audience. We love the beauty and diversity of America and celebrate with Ken Mann the interesting characters, history and stories that make it so unique,” said Jim West, President of the Network. Coastal Production Company has produced over 120 episodes of the award winning program over the last 11 years. The program can be seen locally on the UNC TV Network and on a number of commercial TV stations in North Carolina and Virginia including WITN 7.1, WSKY TV 4.1 and WRAL 5.2. “My Heart Will Always Be In Carolina” will air on theWALKtv Network Wednesdays at 6:00 PM Eastern Standard time and at 3:00 PM Pacific Standard Time. How far would you go to become an affiliate? We think it would be hard to top the price John Schmidt paid to get our signal. John and his wife, Dianne, work at Unity Broadcasting Network, a group of several stations in N.E. Mississippi, and headquartered in Booneville. In order to receive the network, John started clearing out the brush around one of the C-band dishes in the yard. While moving some brush and lumber, he suddenly was bitten by a cottonmouth snake on his hand. Within minutes his hand started turning blue the bite marks clearly seen. But John didn’t run to the emergency room. This is because this is no unique experience for him. John has been bitten FOUR times by cottonmouths. Only once, did he get anti-venom when he was bitten on the ankle while mowing. Another time, he was bitten while also mowing and once while fishing. He now takes the bites in stride, perhaps having developed the resistance by now to the venom. Hard story to top, huh! The station group was founded in 1987 by Lealon Owens when, after broadcasting his “Glory to God Hour” at the station for two years, God gave him the vision of full-Christian programming on TV-53, after the management of the secular station announced that the station would be closing. “Praise-a-Thon” for twenty-four hours a day, seven days a week for, not coincidentally, 53 days. “It was 53 days for TV-53”. Volunteers manned the phones while many preachers and singing groups took their messages and music to the people and success was achieved. One person called near the end of the Praise-a-Thon and pledged $53.00 for TV-53 starting a trend that took TV-53 beyond their goal. At the end of the 53 days, supportive viewers and volunteers had donated money and auction items to accumulate twenty-six thousand, three hundred dollars ($26,300). purchase enabled the station to expand to two offices and a studio. The stations exist to fill the spiritual needs of the people who are unable, or unwilling, to attend church by bringing church directly into their homes via television. Many people that can’t go to church say it has been church to them over the years. They say their broken hearts are healed, they gain hope, strength, and a reason to live while hearing the good news of the gospel. TV 34 Booneville, MS, is the headquarters for all the stations: TV 18 Adamsville, TN, TV 39 Fulton, MS and TV 15 Pontotoc, MS.
Joni Eareckson Tada “Joni and Friends” receives an award from NRB Chairman Bill Skelton and NRB President Frank Wright. She received an award for the Radio Program of the Year (Short Form): “Diamonds in the Dust.” The whole purpose behind the Diamonds in the Dust features is to help the listener encounter Jesus Christ in new ways… to help them understand they must not try to erase ‘suffering’ out of the Christian’s dictionary… and to invite them onto a higher plane of trust and confidence in God by striding courageously into the fellowship of sharing in Christ’s sufferings. (Left to Right) Charlene Baktamarian, host of “God’s View”, Debbie West, LegacyTV VP for Affiliations and Dorothy Spaulding of “Club 36”, “By the Book” and President of WBPI-TV/Watchmen Broadcasting of Augusta, GA, all meet at our booth at NRB. LegacyTV President, Jim West, greets the team from “Randall Terry-The Voice of Resistance” on the exhibition floor of the NRB. Pelle Karlsson, US President and Host of “Back to Jerusalem” stops by the booth at NRB. Thelma Wells, host of “Bee all you can Be” also known as “Mamma T” signs copies of her new book on the Exhibition floor. Kay Arthur, “Precepts for Life” is interviewed on the floor of the Exhibition. At the closing Banquet, Kay was inducted into the NRB Hall of Fame. She graciously accepted on behalf of her husband Jack and the staff of Precepts for Life. One of the many round-table, strategy sessions held at NRB to chart a course of action to fight the FCC’s Broadband proposal-see home page. Greg Herman and Amy Brown of Spectrum Evolution, one of the key players in the spectrum discussion with the FCC and Congress. The Educational Session focusing on the Spectrum take-back, facilitated by Jim West. Gary Cocolla, President of Cocola Broadcasting Companies of Fresno, CA, addresses the attendees. Closing Banquet speaker, Chuck Swindoll, tells the audience the lessons he’s learned in ministry. Gospel Singer Nicole Mullins leads the NRB in worship.